Jason Scholder (Ashville): Jason’s fish-out-of-water comedy mines the litany of life-choices that made him a pathologically-unemployable, single Jewish father of a mildly precocious, borderline anti-semitic daughter, living in The South. As a 46th birthday present to himself, Jason decided to try Stand Up Comedy for the first time, earning him the moniker, “Midlife Comic.” He’s been traveling the country and making people laugh ever since. Jason has performed at The Comedy Store, Rooster T Feathers and The Comedy Zone and he has performed with Sean Patton, Andy Hendrickson, Matthew Broussard, Spanky Brown, Julie Scoggins, and Sid Davis. Jason hosts his own monthly comedy showcase and talk show called, Talk About Funny as well as a podcast called Learning To Fail. Caitlin Reese (Connecticut): Caitlin Reese is a Connecticut based stand up comedian, improviser, and sketch writer. She has been featured on Comics Watching Comics Season 8 on Amazon Prime, Last Comix Standing at Mohegan Sun, and PAID or PAIN on Sirius XM. She has opened for Kevin McDonald from Kids in the Hall and Corinne Fisher from the podcast, Guys We F*cked. She was also a finalist in the 2018 National Ladies of Laughter Competition at Gotham Comedy Club. Caitlin has performed stand up throughout the northeast and at venues including COMIX at Mohegan Sun, the Nerdist, Upright Citizens Brigade, Gotham Comedy Club, Broadway Comedy Club, Greenwich Village Comedy Club, EastVille Comedy Club, Laugh Boston, ImprovBoston, the Comedy Connection, Nick’s Comedy Stop, Brew Ha Ha at City Steam, Vermont Comedy Club, and the Hartford Funny Bone. Caitlin has been selected to perform in the Women in Comedy Festival, Hell Yes Fest, Charm City Comedy Festival, Baltimore Comedy Festival, Hoboken Comedy Festival, 5th Borough Comedy Festival, and Portland Maine Comedy Festival. Her sense of humor is offbeat, quirky, and always feminist. Will Purpura (NYC): Will is a comedian, actor, improviser, writer, producer and teacher from NYC. He currently serves as Artistic Director of the PIT Chapel Hill. JM (Raleigh): A comic based out of Raleigh, NC, JM is the former host and producer of the Comedy Night At Raleighwood! comedy series. He also splits time between being on the road with being a host on Raleigh’s Comedy Bus. In 2013 and 2014, he was an anchor on the “Unusual Suspects” Tour, making his way around the Southeast Region. As a House Emcee for the Comedy Zone (2013 – 2016), and a feature act (current) with Bonkerz Comedy, he has had the pleasure of working with great names, some of which include Julie Scoggins, Michael Harrison, Ryan Davis, James Yon, and Kurt Green. Reid Pegram (Raleigh): Reid is a comedian, I guess. He’s more like a meat sack full of nerdy references and cheap beer. He hails from Greensboro, NC and performs all over North Carolina and surrounding areas if you really wanna call it a “performance”. He has opened for/had awkward encounters with Jake “The Snake” Roberts, Brian Posehn, Dan Soder, JT Habersaat, Dave Stone and Mike Lawrence. They probably didn’t hate him but who knows. Reid currently lives in Raleigh and frequently performs at Goodnights Comedy Club when they let him but he. He has performed in the inaugural North Carolina Comedy Festival (2018) and Oak City Comedy Festival (2018), as well as the ninth annual Cape Fear Comedy Festival (2018). Also, he is the host/producer of the bi-weekly Dwayne “The Rock” Johnson House Party Comedy as well as co-host/co-producer of the CPGB (Comedy, Punk, Games, and Books) podcast. Catch him before he dies of his inevitable stroke! 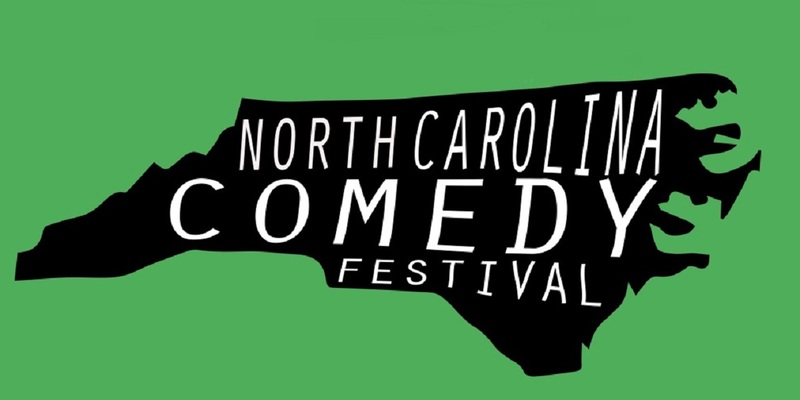 Ryan Bender: In under 2 short years, Ryan is taking the NC comedy scene by storm. Ok, maybe just a light drizzle really. You can catch him weekly at the Idiot Box comedy club in Greensboro, NC where he co-hosts the Tuesday “Laughs But Not Least” show. Mark McPartland (Chicago): Mark is a Chicago comedian originally from NC. He has worked with Ron Funches, Joe Zimmerman, and Matt Braunger. Jason Zaremba (Raleigh): Jason started doing stand up in late 2013 has not stopped since. He lives in Raleigh but he has performed all around the state. Caryn Carson (Dallas): Caryn’s stand-up comedy reflects the life she’s lived: high-strung, a little awkward, and mildly disappointing to her parents. She’s a regular in the North Texas and Albuquerque comedy scenes, and in 2018 she performed at the Big Little Comedy Fest, the Plano Comedy Festival, and the International Lady Laughs Comedy Festival. Her jokes hit on topics such as marrying late to get an early start on AARP spousal benefits, faulting Michael Strahan for being late to work, and cheese. Lots of jokes about cheese. Audiences feel better by comparison about their own lives, making her comedy a win-win for all.